Automatic surface inspection finds every fault! Only what looks perfect is also good and safe. 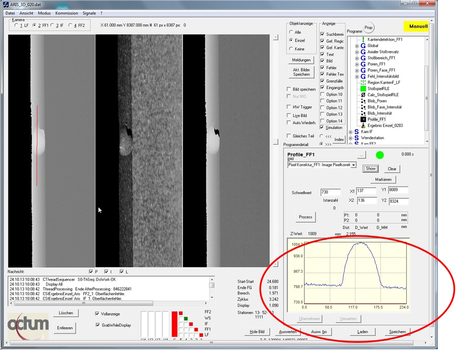 Surface defect inspection systems from Octum automatically inspect the optical properties of single parts or web in 2D or 3D automatically in the production cycle. 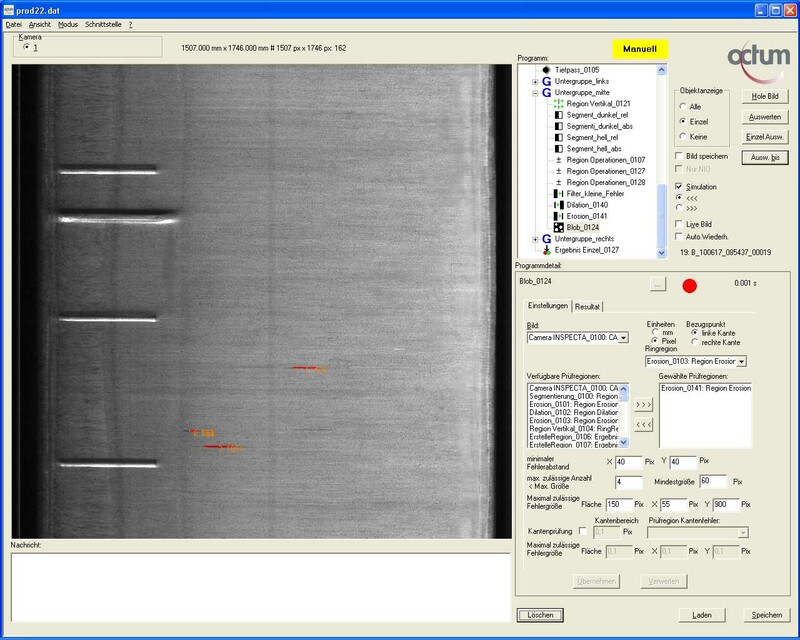 In the automatic surface defect inspection of metal parts, contaminations, processing marks, washing agents residues and permissible material discolorations in the use of 2D inspection methods often leads to pseudo waste. 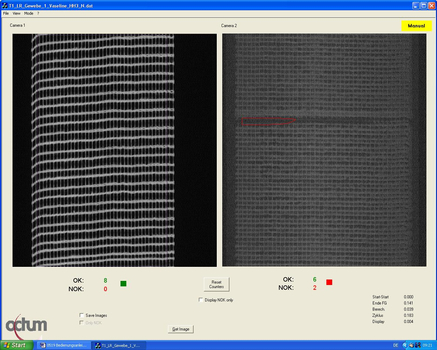 Surface flaws on dull black coated metal parts cannot be inspected at all with 2D methods. For this class of tasks, OCTUM uses in-line 3D surface defect inspection systems based on laser triangulation. If no suitable 3D sensors are available for the concrete task, we develop and produce our own. 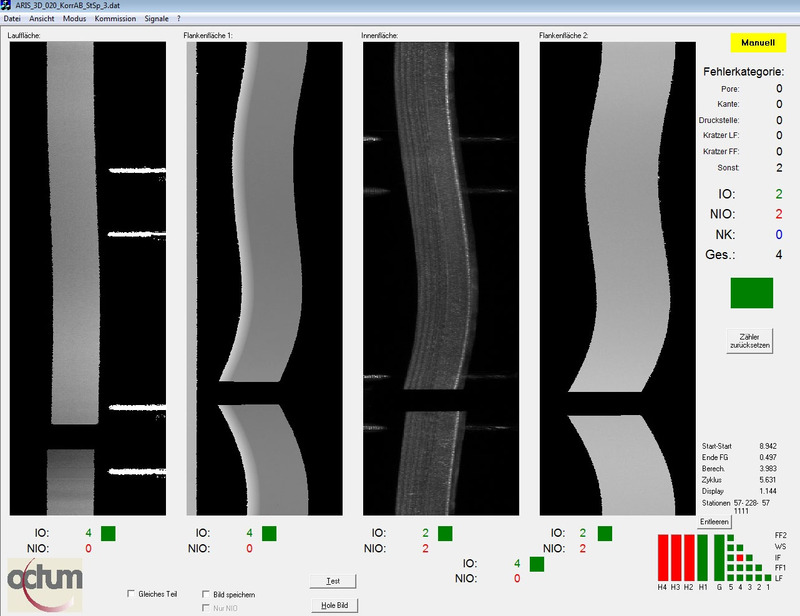 The system software for surface inspection is also being developed further continuously especially in the 3D area with practical tools, e.g. for vibration compensation or phase compensation of the 3D layer and also 3D defect classification. 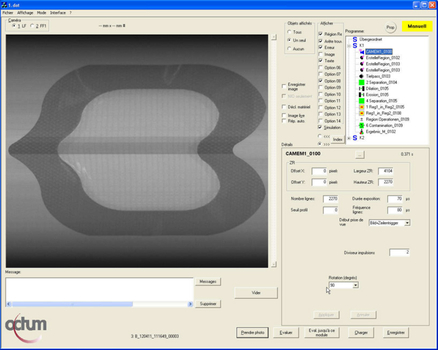 Of course, the surface inspection system solutions are configurable so that defect criteria, degree of inspection severity, inspection regions, error classification etc. can be adapted by the customer. The customers can also create new inspection programs for new part geometries themselves after the appropriate training. 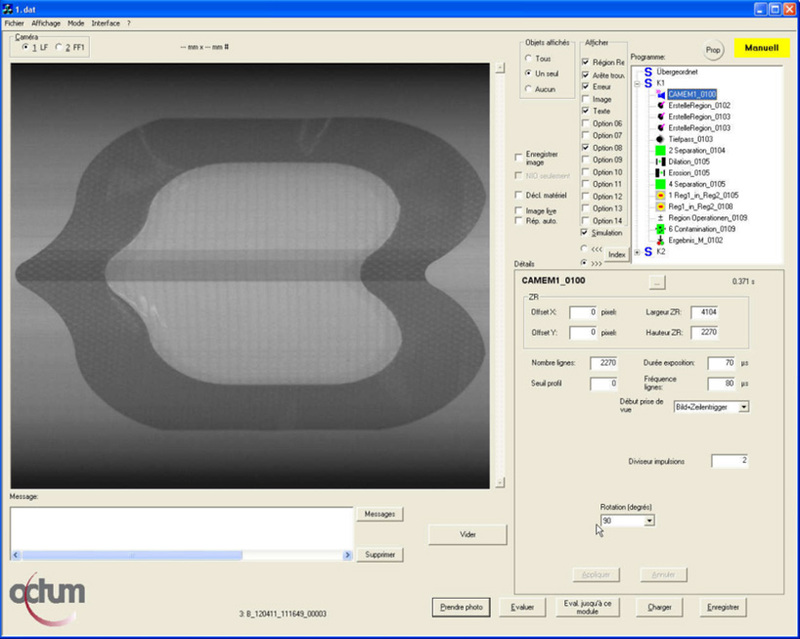 The 2D or 3D surface inspection systems are designed respectively for the concrete task for any geometries and materials to be able to check material or production-related defects. Both stationary and robot-controlled cameras can be used here depending on the task and cycle time. Typical detectable defects for single parts are, for example, dents, pores, blow holes, splits, spots, discolorations, rust, scratches, scores, grinding flaws etc. 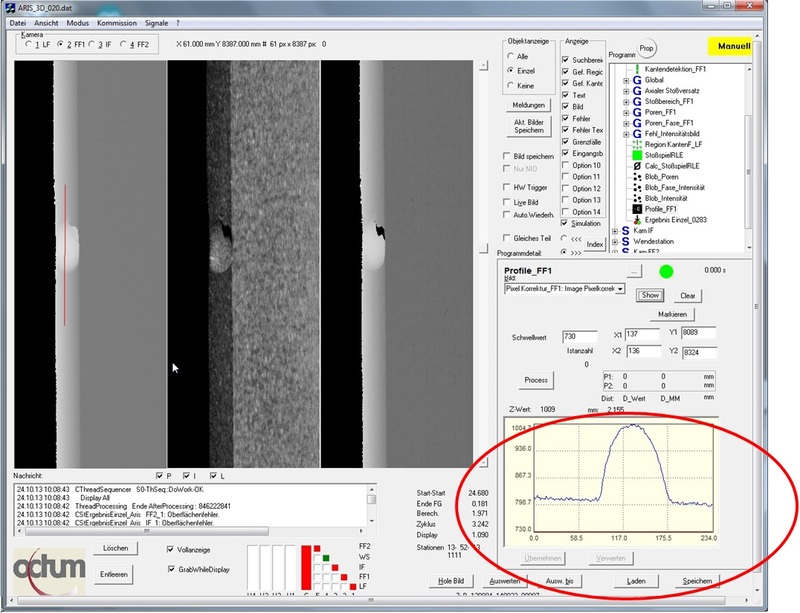 Our surface inspection systems for pharmaceutical applications are mainly equipped with line scan cameras to be able to find the errors reliably even at high line speeds, e.g. in technical textiles or pharmaceutical products. 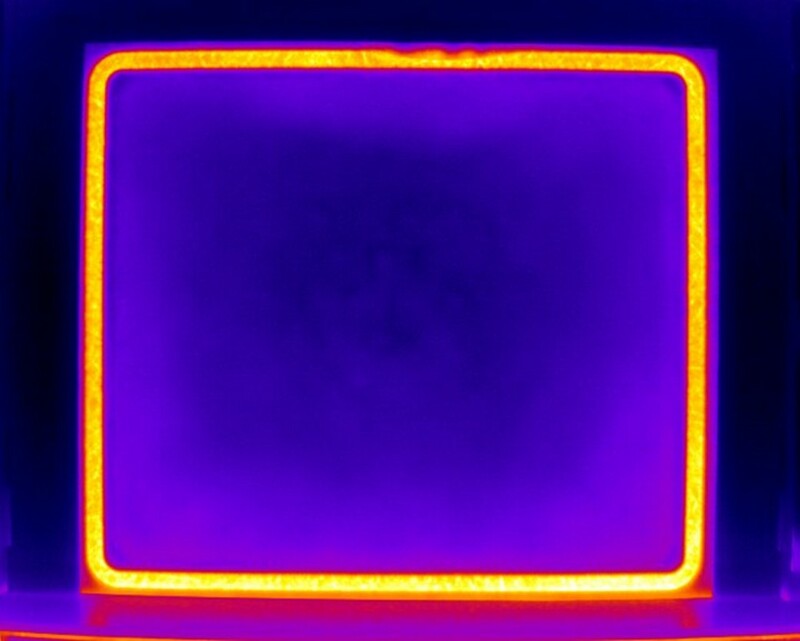 Thermography cameras can also be used in combination with cameras which operate in the visible range if necessary for special tasks in the area of sealing inspection.